The XMC 1200 SPLINE is for anyone who enjoys high-speed climbing and descending. Fit with tubeless tyres, the full carbon hookless rim massively reduces the chance of punctures, is superlight and at 30mm rim width works to perfection with wide all mountain rubber. 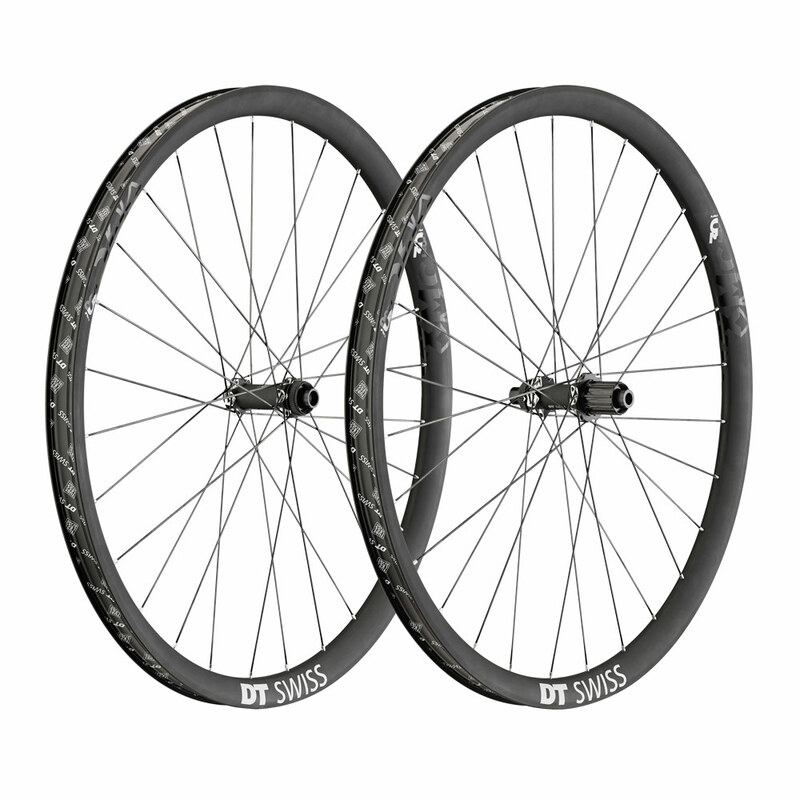 The SPLINE® hub is the lightest wheel hub ever built by DT Swiss, together with the bladed top end spokes and a perfect DT Swiss wheel build it complements the carbon rim for the ultimate trail bike wheel set. Weight Front: : 27.5 Non Boost :671g, 27.5 Boost: 674g, 29 Non Boost: 708g, 29 Boost: 712g. Weight Rear: : 27.5 Non Boost :775g, 27.5 Boost: 777g, 29 Non Boost: 832g, 29 Boost: 835g.